A few people have recently asked me why I'm selling a lot of Super 8 equipment; most of them assuming that I'm moving away from Super 8, but this isn't the case the answer is simple as I'm just having a clear out. I have lots of Super 8 equipment from cameras, editors, splicers, lenses, accessories that I don't use anymore, particularly since I am not doing any Super 8 workshops as the number of participants have declined rapidly in the last year, I couldn't get enough participants for my last workshop. Personally I can stop using Super 8 - it's an addiction that I don't want cured. I am a big user of Super 8 and have been attracted to it because of its portability, simplicity and cheapness, here in England in the days of Kodachrome [not so long ago] all Super 8 film had processing included, the film came with a small envelope to send it back to the lab to get processed. It depended on what day exposed film was sent out, but I found that if film was sent out on Monday morning I would usually get the film processed back the following Monday or if I was lucky by the weekend ready to project, it was easy and simple. 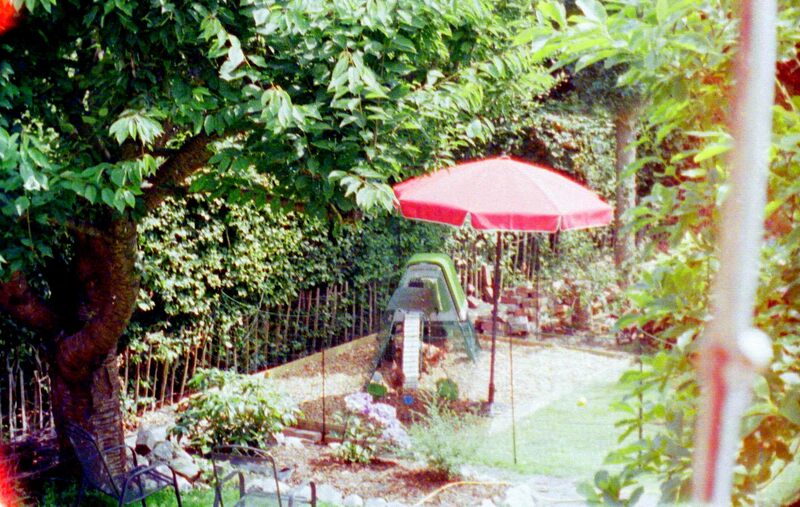 I liked the way Kodachrome captured reality with its warm colours and textures, but things changed in 2006 when Kodachrome was discontinued, its replacement Ektachrome 64T, which wasn't as good and didn't work properly with a lot of Super 8 cameras. Suddenly Super 8 got a little complicated and expensive as the processing price was now separate and a bit more. In 2010 a new reversal stock the Ektachrome 100D was introduced in Super 8 and in my opinion this stock was brilliant, it had great colours and the charm of the old Kodachrome, but gave a more fresh and contemporary look and could be easily processed at home with E6 photo processing kits, I used a lot of this stock, I processed and scanned it too. I was disappointed when it was discontinued at the end of 2012 and the Super 8 was left with no colour reversal film but the new negative film was now available in Super 8, which in my opinion didn't have the right feel in Super 8. There was, however a new colour reversal stock film the Agfa Aviphot, I do like this film in 16mm and 35mm but I don't think it works in Super 8 as it's far too grainy for the small format. In 2013 I decided to make a film, I would have used Super 8 and Ektachrome 100D, but this stock had disappeared and so I explored other options. 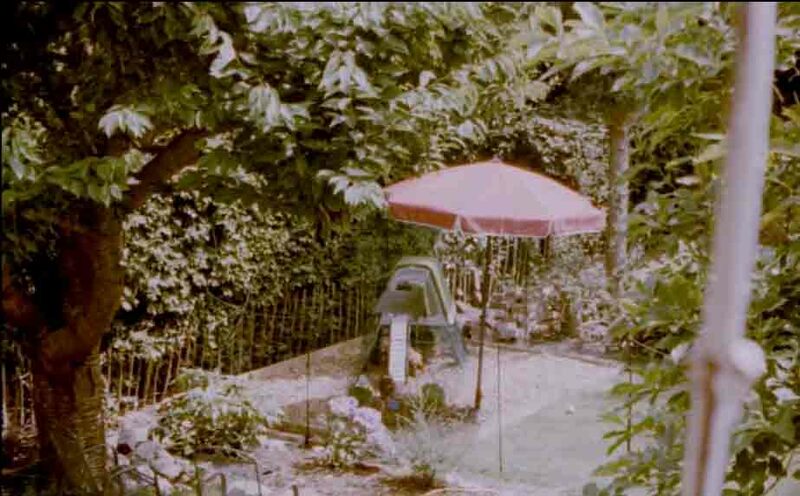 I tried the Aaton Penelope 35mm in 2 perf and was amazed with the results and surprised that it was not as expensive as I thought, getting short ends and re-cans of 35mm film was and is still common and using 2-perf 35 can be cheaper than using today's Super 8. The problem is that the Aaton Penelope is a difficult camera to get hold of and because of this I quickly realised that 2-perf 35mm wasn't an affordable option as I couldn't get hold of any 2-perf camera so I looked into digital. Digital is interestingly far more complicated than film, yet paradoxically it's supposed to be easier. I tried the DSLR's and was not overly impressed as I needed to do a lot of work in post to make the image acceptable, also the footage didn't look great on the big screen, other digital systems such as the RED and the Alexa's which are better, but too expensive to buy or rent and rental insurances are too high, it was then a friend asked me to consider 16mm. As I looked into it I noticed that the world of film processing labs had changed considerably, most likely because cinemas had gone digital. For the first time I sensed that labs [the few that remain] were now quite eager to encourage small filmmakers to use film and before I knew it I had a lab account manger who was very helpful and encouraged me to shoot on 16mm. I had used Super 16 before and was familiar with the Arri SR3 and the Aaton XTR but I wasn't overly keen as the PL mount Super 16 lenses can be quite expensive. A friend had said that he had an SR3 'lying' around and invited me to borrow it, however I came across the little A-Cam, I had read about it, but never seen it. The A-Cam with its 9mm lens was so tiny sitting next to the SR3 kit, I left with the A-Cam instead of the SR3 and decided to use it for some tests. I had a small crew, just six of us, we were filming in the woods, it was a difficult terrain wet, marshy and hazardous and the A-Cam was great as it allowed us to film in places where we wouldn't have taken the SR3 and definitely where an expensive camera like the Alexa wouldn't have gone. Shooting the 100 foot loads wasn't an issue, though the lack of a viewfinder was an issue for me, I knew then that if I were to continue using the A-Cam I will have to get a reflex viewfinder modification. I used the A-Cam for a dialogue sequence and was amazed at how well the camera kept synchronisation. I was very impressed when I saw the results after they were processed and scanned and that was it, I fell in love with Super 16 again especially the A-Cam. I bought the A-Cam and lots of fresh Fuji stock [more than enough to make a feature film], an Angenieux lens which has its own reflex viewfinder and started looking at modifying the camera to have a reflex viewfinder. The benefits of using reversal film are obvious - it can be projected [after all that's what it was designed for], but more importantly I find that the level of detail and the textures are deeper and quite different from negative stock. Despite Kodak discontinuing all their colour reversal film at the end of 2012 there is a fresh supply of colour reversal stock available in Super 8, 16mm and 35mm - the Agfa Aviphot or better known as Wittnerchrome 200D. From the few examples I have seen of this film in 16mm I think it's quite nice, it's got good contrast, it's very sharp and produces nice and rich colours. Some say it's too grainy, I feel it is grainy especially in Super 8 and personally I don't think it's well suited to this small format, but in 16mm the grain is much tighter and more acceptable, in my view even today's faster colour negative stocks in 16mm like 500T are grainier than this film. I believe that the viewfinderis the single most important user interface on any camera. Viewfinders are what camera operators rely on to accurately compose pictures. The importance of the viewfinder should not be overlooked as it provides the crucial relationship of the image being captured to the camera operator. 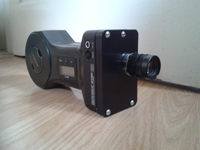 On most motion picture cameras the viewfinders are optical and reflex, they work by using a system of mirrors and prisms and act like a periscope, to bounce the image up to the viewfinder and the eye. The A-cam, is a little wonder, but there are some serious realities to consider, the main being that there is no reflex viewing, I can't look through the lens, therefore I can't 'feel' the shot and for me this is very important, I need to 'feel' the shot, I need that relationship with the 'shot'. I had seen images online where companies added a reflex viewfinder to the A-Cam, I asked them but I couldn't get them or anyone else to add a reflex viewfinder to my A-Cam, engineers who specialised in this sort of thing weren't prepared to add a reflex viewfinder. 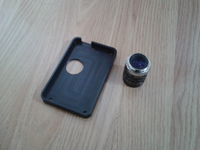 I wanted to get hold of an A-Cam that already had a reflex viewfinder, mainly to see how the modification was done. After a long search and a wait of almost ten months I found a filmmaker/cameraman who had a reflex A-Cam and he generously agreed to lend me his camera, by this time I had added a reflex viewfinder to my camera, but I wasn't entirely happy with my modification. On receiving the reflex A-Cam I quickly discovered that my modification was very similar - in fact almost identical. The camera that I received was fitted with an Angenieux orientable viewfinder, the viewfinder is extremely good, very versatile [and on it's own quite expensive], it was a godsend as I could now accurately frame and focus, but, there was a small but, as I felt the Angenieux viewfinder didn''t quite work with the A-Cam, it's too big and bulky, it's heavier than the camera, one of the attractions with the A-Cam is the small size and its incredible lightness. I thought that a smaller and simpler reflex viewfinder [it didn't have to be orientable] was best suited to the A-Cam. I know nothing about optics so once again I asked engineers and technicians who repaired cameras and had expert knowledge, but they were all too secretive and very reluctant to tell me how optical viewfinders worked. 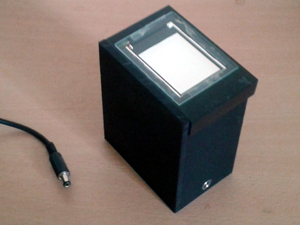 Basically I wanted to know to make my own small reflex viewfinder. The only way was to learn and understand myself how reflex viewfinders worked, especially in movie cameras and to do this, I have bought a Super 8 camera; the Canon 512 and a Single 8 camera; the Fujica P2, to see how their reflex viewfinders are put together and work, by examining these I would get a better understanding of the relationship between the mirrors and lenses how they affect the viewfinder image and design, both cameras are very different, the Canon's viewfinder seems typical of what most Super 8 cameras would probably have, whereas the P2's viewfinder is very small as the camera is tiny, basically I need the small size of the P2, it seems the viewfinders in both cameras have been designed to fit the length of the camera. In most cases people using digital are trying their hardest to emulate film, most of the time they could just easily work with film instead, except it's become fashionable to bypass film by saying it's too expensive, or its 'irrelevant' and only used for achiving. When talking about using film, we always hear about the magic of film and the nostalgia, but the fact is that film still gets better images, images which can be manipulated far more than many realise and there's a certain practicality to film. A common question is why people still shoot on Super 16 film; well I believe that if you want that Super 16 look, with its unique characteristics then you should shoot on Super 16. I believe the visual characteristics - the look and feel of Super 16 is unique to the format. And guess what? They still make 16mm film so there isn't really a reason not use it. I always urge people to at least try and explore film, its costs and workflow before dismissing it, not surprisingly many are surprised with 16mm, especially when they learn that in the end it is not that expensive. Cameras are ridiculously cheap, film stock can be cheap too, depending on how it's bought, processing and scanning isn't too much either, depending on how much film has been shot, you can get deals on camera rental, film stock processing and scanning. I use film because of the aesthetics too, but film offers me a certain practicality and cheapness in relation to the remarkable image quality I get from it. 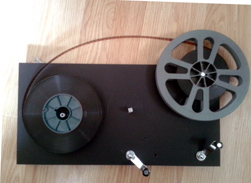 a full cartridge of Super 8 film into a large Jobo print drum. My simple Super 16 frame by frame set up using the consumer digital Samsung NX100 with a Schneider S Componon 50mm enlarger lens which is reverse mounted to M42 macro tubes attached via an NX to M42 adapter. As a filmmaker my aim is to make films, but I want to work with film [celluloid] while I still can, I am always tinkering with gadgets to make my film experience a little easier, hence making a scanner an easy way to digitise my films. This time I wanted to build something that would be more compact and even easier to use. I know that for many scanning film seems like a complicated affair, a lot of people are put off using film because they don't quite understand the scanning part of it, scanning film can be the most expensive aspect of using film, but it doesn't have to be as simple DIY frame by frame scanners can produce remarkable results, which in my opinion can be as good as professional scans. I want to make the whole process easier and am very open to sharing ideas and disseminating information. Ideally I needed a no fuss, compact film scanning system for newly exposed Super 8 and Super 16 film; it can be time consuming and expensive to transfer small quantities of film at a professional lab and sometimes you don't really need a professional scan, especially when you are just testing a camera for scratches or light leaks. Whether you intend to scan Super 8 or 16mm film I believe the best way to build a frame by frame scanner is by looking at the four main components of a film scanner separately; the backlight, the film transport, capture camera and the lens. 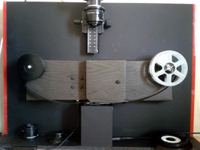 For the film transport system something is needed to move the film and stop it in the gate and for this purpose it seems easier to use and modify a conventional projector and many people who make their own set ups do just this. 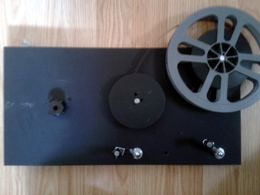 However, for all sorts of reasons I don't think adapting a projector is the best way to go, though initially I did modify an ordinary Super 8 projector [Chinnon] and it worked quite well, but as with all projectors it was a chore to set up being too bulky and cumbersome. In addition I feel that there's just so much to do to projectors to make them suitable for frame by frame scanning so I looked for an alternative and found a very unusual projector - the Hanimex Moviematt, this is smaller and less cumbersome than most projectors making it much easier to modify and it works extremely well as a frame by frame scanner, but I found there were still some issues, mainly with the backlight which I discovered had to provide a perfect consistent light especially when scanning negative film. 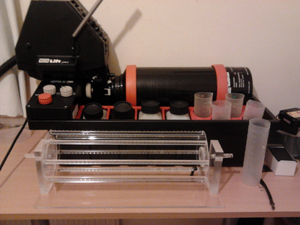 After using the Hanimex for over two years I decided that I needed a new film transport mechanism, the fact that the Hanimex was falling apart made me develop my ideas. The capture camera and its lens are incredibly important, I don't know a great deal about digital cameras, I used machine vision cameras starting with a simple Mightex then switching to a camera from The Imaging Source and finally settling with a camera from Point and Grey. I was told that Machine Vision cameras are ideal for this sort of work and I know that most sophisticated set ups use them as they seem to offer a lot of advantages, they are small and can be fitted with virtually any lens. However, I became increasingly aware that for me these cameras weren't getting the best out of my Super 8 films and began to look at other digital platforms, maybe I was using them wrongly. I was further encouraged by the people who've developed the Kinograph as they use a conventional DSLR as a capture camera saying that they wanted to work with easily available consumer cameras. The idea of using consumer level digital cameras intrigues me, especially because I know they would provide a standalone system which would be simpler as it wouldn't tie up my computer like the machine vision cameras during the scan. I know that DSLR's have mechanical shutters which will wear out quickly [apparently after 300,000 shots which is about 400 minutes], but I believe that mirror-less consumer compact digital cameras don't have such shutters, but in any case these cameras offer great quality and are cheap and easy to replace - after all this is the disposable age! 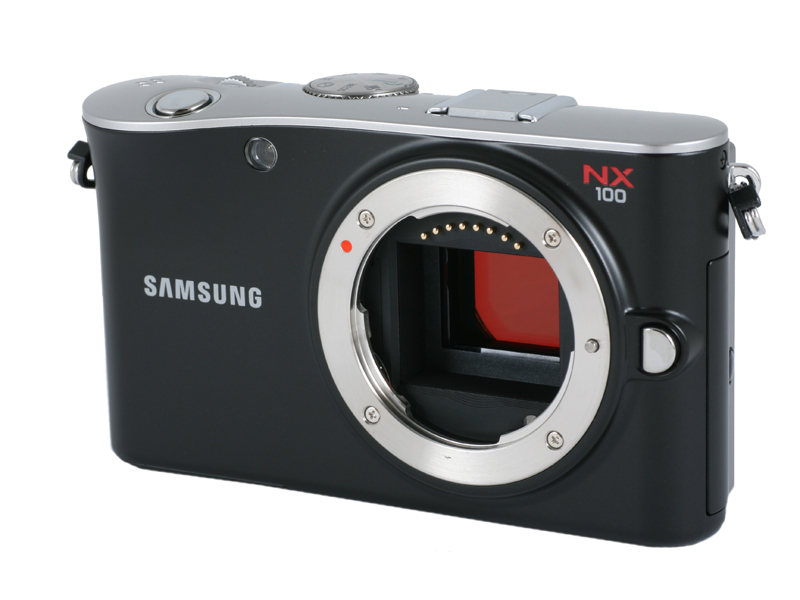 I looked at the many digital compact mirror-less cameras, eventually I bought the Samsung NX100, this can be bought as cheaply at £60.00, this camera interested me because it has a simple wired cable release and has interchangeable lenses. Using adaptors i.e. a Samsung NX to 42mm and 42mm extension tubes I have reverse mounted a 50mm Schneider S Componon Enlarger lens, the same lens I used with my machine vision cameras, it is an excellent lens and many others use this lens for scanning too. On further reading and after experimentation I discovered that my Samsung will take pictures very quickly at 0.5 seconds and saves them on an SD card and the camera's auto focus and auto exposures systems need to be switched off, obviously a fast SD card is needed, so at best this camera can work as a telecine camera running 2 fps. A typical 100ft roll of 16mm film is made up of about 4000 pictures, if I work slower and take one picture per second with the Samsung it will take me just over an hour, which is fine, after all for me speed is not an issue. The camera will save each picture as Jpegs or in Raw as image sequences, once the initial scan has been completed the image sequences on the SD card can be assembled into a movie with any non-linear editing program on the computer. Of course when not scanning I can use the camera for taking pictures. I haven't scanned a roll yet but I've been doing some tests grabbing individual Super 16 film frames from stuff I've filmed before and so far I am very impressed as I feel that the Samsung is definitely getting the best out of the film. Images are sharper with richer colours, generally more detail and depth as you can see from the examples above [which are in a lower resolution here], clearly the consumer camera produces much better images off film and for the first time I feel that I am getting real quality from films. Perhaps machine vision cameras are over-rated and in general not as good as video cameras, after all aren't they just basic industrial things. I have a deep interest in working with mechanical gadgets, I am not trained as an engineer, but I have a strong passion to work out and then understand how mechanical gadgets work, in particular movie cameras. When working out a repair or modification I spend a lot of time thinking how my developments will affect and compliment the original design and mechanical construction. Recently I have been toying with the idea of creating a proper and a more permanent reflex viewfinder for my Super 16 camera, a viewfinder that would sit at the side of the camera for ease of use. My camera is the A-Cam; it is a stylish Super 16 camera, it's an incredibly small, very light and easy to hold while filming, but sadly it's biggest flaw as it doesn't have a proper viewfinder, this makes it very limiting. Apparently the makers of the A-Cam saw the reflex viewfinder as a luxury, which would have added to the complexity of making it and would have increased the cost of the camera. I believe that a reflex viewfinder is essential to accurately frame, focus especially when using different lenses and when zooming in or out of a shot. I like using the A-Cam which is why I have decided to do this. This is my second attempt at making a reflex viewfinder for this camera; the first attempt turned out to be temporary, it made hand-holding the camera very difficult and didn't weather too well. I ended up using the Angenieux 17-68mm lens which has its own viewfinder, while this is a great lens which surprisingly covers the Super 16 frame, it is a slow lens, I want to use more modern glass and faster prime lenses. This time I've had a new front plate and the viewfinder tubes machined from alluminium and anodized in black, they look good and professional, adhering to the camera's stylish appearance, but more importantly the new front plate and viewfinder are to be more permanent and robust that can withstand all sorts of filming conditions. I have been asking a lot of questions and doing a lot of research [trawling the Internet] to find out about optics such as how a viewfinder works, I have learned lot about beam-splitters and pellicle mirrors, I have struggled to find the right size a pellicle mirror, though after an exhaustive search I have just found someone in Japan who can cut a pellicle mirror to the exact size I want it - sounds promising. All this research is leading to a lot of experimentation and a lot of trial and error, which is fun but it's getting quite costly. 1. 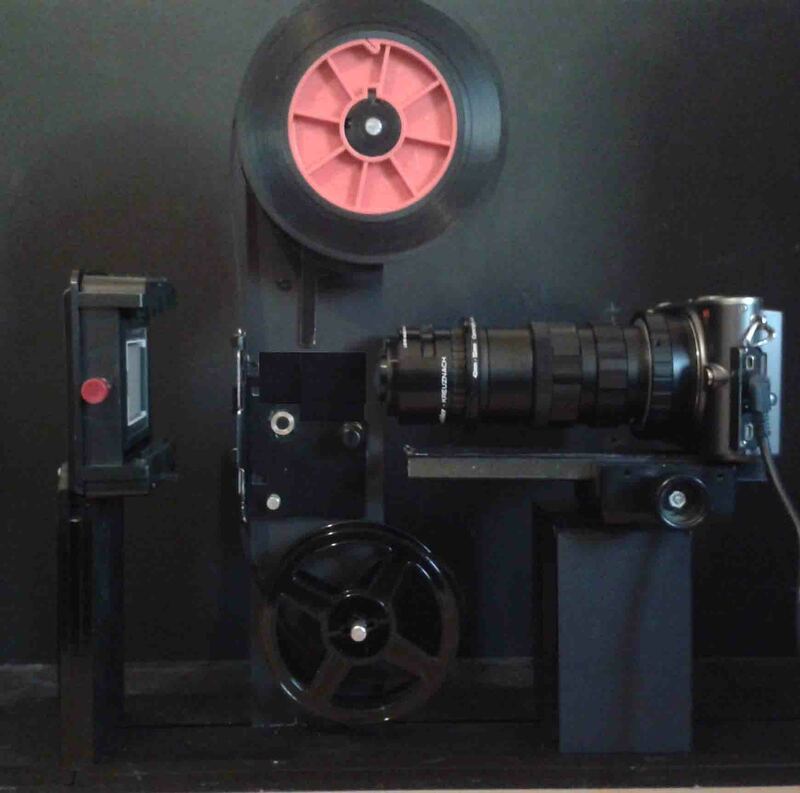 The Complete Package - this will include the Main Frame, the backlight Unit, the transport panel [either for Super 8 or 16mm] and the machine vision camera. 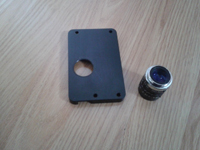 I can source the machine vision camera too, but it is pretty easy for people to buy their own machine vision camera. Although machine vision cameras are ideal for transferring film I am currently experimenting with the popular digital consumer cameras such as the Samsung NX mini. I feel that the single biggest stumbling block to shooting real film is the telecine or scanning part of film. Digitizing footage can be a very confusing and difficult matter; scanning film can also be the most expensive part of using film. The main reasons for me to build a scanner is so that I could easily and cheaply scan my Super 8, 16mm and even 35mm film. I am very happy with my professional 16mm film to digital transfers, they are pretty quick and not too expensive, however when I'm experimenting and testing a camera or a stock and am unsure if everything works properly then getting film professionally transferred to digital can be an unnecessary expense. I've had many instances where I've had issues due to old / bad film stock, cameras focus settings and shutter sync issues. So having a small telecine / scanner machine at home is the best solution. I don't see such a scanner as a replacement for having my films professionally scanned, but having my own scanner makes the process of viewing my films cheaper and easier. 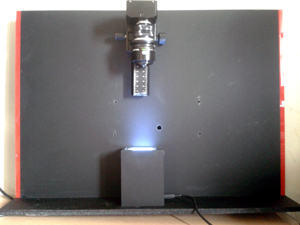 I wanted a scanner which I could easily adapt for any film format, I saw film scanners that seemed a perfect choice, however I needed a seperate unit for Super 8 and another one for 16mm, so I decided to build my scanner. The mainframe is the main board on which everything is attached such as the focusing rail - allowing virtually any 'capture' camera to be mounted, the mainframe also holds the main vital film transport panel and the backlight unit. The film transport panels are detachable, there's one for Super 8 and one 16mm, the 16mm one allows scanning of Ultra 16 and Super 16 as well, I can easily swap between formats by simply changing these panels. 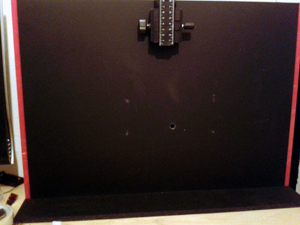 I am also building a film holder/carrier panel for 135 and 110 negatives and slides. I have designed the transport panel with a unique gate that doesn't touch the surface of the film, but there is a traditional claw which drives the film stopping it frame by frame in the opening allowing the 'capture' camera to photograph each frame individually. There is a micro-switch connected to the claw, this is activated when a frame is stopped in the 'opening' of the gate so that the 'capture' camera can photograph it. When attached to the mainframe a lead is plugged connecting the film transport panel's micro-switch to the 'capture' camera to take a frame. I have designed and built a new diffused RGB LED backlight panel that provides a clear and even light to illuminate the frame essential for negative film. More pictures soon and links to transfers. I have been using the Ikonoskop Super 16mm camera quite a bit, the camera was talked about a lot a few years ago when it was produced, but I have only met a few people who have used this camera and can honestly say how it works. It's definitely stylish, I really like the fact that it is small and I can shoot sync dialogue with its 'microprocessor-synchronized' speed control. The camera's noisy but for sound work all you need is a good directional microphone and a sound barney, which could be a tea cosy lined with material from carpet underlay. In many ways this camera is similar to old amateur 16mm cameras as it's non reflex and takes 100ft of 16mm film, the main differences being that it's natively Super 16 and it's a new design,with modern mechanics and electronics. I like this camera and prefer using it to other 16mm cameras, the lens it comes with is really very good, though I don't like to shoot wide all the time. I don't feel restricted with the shorter run times of the 100ft rolls, for me this length has never been an issue, I know a lot of people say they need longer rolls and so they prefer cameras that can take larger rolls of 400ft. I do think this camera is somewhat badly designed, while it looks cool it is a bit tricky and fiddly to thread with film, an old 16mm camera like a Bell and Howell is much simpler to load. I feel that the loading with this camera also wastes a lot of film, but this can be avoided, especially if like me you cut down your 100ft rolls from larger 400ft ones which also works out cheaper, it's easy to put a metre of leader at each end, making sure it's a clean tape splice and always informing the lab when you send the film off for processing, this way it's easier to load and no film is wasted. For me the only real big problem with this camera is that it really does need a reflex viewfinder only then can you use the vast number of C Mount lenses. Modifying it for a reflex viewing system is possible, it's quite tricky though. For reflex viewing and accurate framing I managed to get the Angenieux 17-68mm lens it has its own viewfinder [hopefully I will get another one soon], it's a good lens. In order to use modern glass I have made a reflex modification to my camera [Pictures coming soon], I used a small pellicle mirror which diverts some of the image to new viewfinder optics, this not only allows me frame and focus accurately, but me to make use of the many C mount lenses. How I wind 400ft film onto 100ft daylight spools? Everything has to be done in complete darkness or with night vision goggles, some feel goggles affect the sensitivity of the film but I haven't had any side affects. 2) I place an empty 100ft daylight spool in the centre and attach the film from the full 16mm spool and wind the film onto the daylight spool until it's full guessing when it's got 100ft. 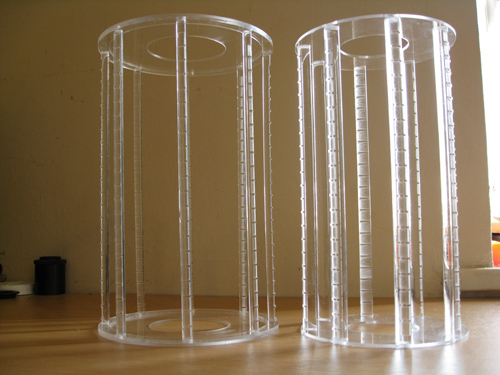 Contact me if you want a similar rewind table. Angénieux 17-68mm lens with integral viewfinder, there's not that much useful stuff written about this lens. There is another lens that I have, which has its own viewfinder it's a Som Berthiot from a Bolex 16mm, I don't like this lens as it produces softer images, it doesn't cover the Super 16 frame, its viewfinder is tiny and has no focusing screen/aid, but most of all the Som Berthiot lens is hideously large and incredibly heavy making it totally unsuitable for use on my little Ikonoskop rendering the camera's portability useless. The Angénieux 17-68mm lens is different, it's lighter making it ideal to use with the Ikonoskop. It is quite popular a popuar as many are using it with their digital cameras to achieve a vintage look to their films. I tested it with my Ikonoskop Super 16 camera and was pleasantly surprised, as it covers the Super 16 frame and it gives sharp images even when open wide, which is quite rare for a lens of its age. There seems to be many versions of Angénieux 17-68mm lens, silver ones, black ones, c mount versions, PL versions and even some without the integral viewfinder. After a bit of searching I found some information from the www.fdtimes.com IBC Special Report - September 2013. The first zoom lens from Angénieux was the 17-68 mm with a 4:1 zoom ratio, and the idea was to make a zoom lens for the Bell & Howell 16mm amateur cameras. It achieves a 4:1 magnification ratio, from a semi-wide-angle focal length and an aperture of f/2, while keeping the image resolution of prime lenses. While its zoom ratio is only 4:1 it does provide sharp images free from aberration throughout the zoom range. It was also the first zoom lens with reliable mechanical compensation that held consistently sharp focus throughout the zoom range. The prototype was ready in 1956; production began in 1957, and deliveries began in 1958. 70,000 were made from 1957 until the late 1970s. The Angénieux breakthrough in 1956 was their mechanical compensation system, enabling precise focus while zooming. This Angénieux zoom lens was a major invention in history of cinema, with considerable influence on style, look, economics and storytelling in motion pictures, documentaries, television, commercials, news and photography.